Join leading Hypnotist Dr. Jonathan Royle and his special guests – Robert Temple, Chris Lee, Stuart Cassels & Nick Davies – as you discover the true inside secrets of Stage and Street Hypnotic Success. 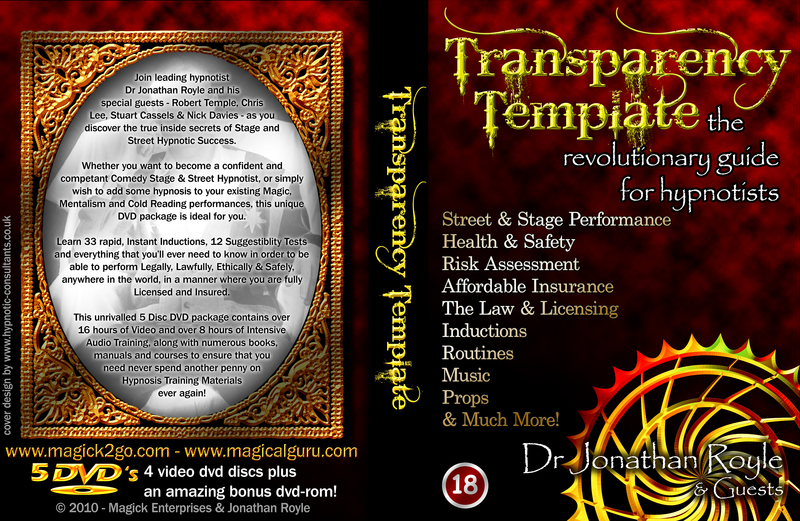 Whether you want to become a confident and competent Comedy Stage & Street Hypnotist, or simply wish to add some hypnosis to your existing Magic, Mentalism and Cold Reading performances, this DVD package is ideal for you. Learn 33 rapid, Instant Inductions, 12 Suggestibility Tests and everything that you’ll ever need to know in order to be able to perform Legally, Lawfully, Ethically & Safely, anywhere in the world, in a manner where you are fully Licensed and Insured. 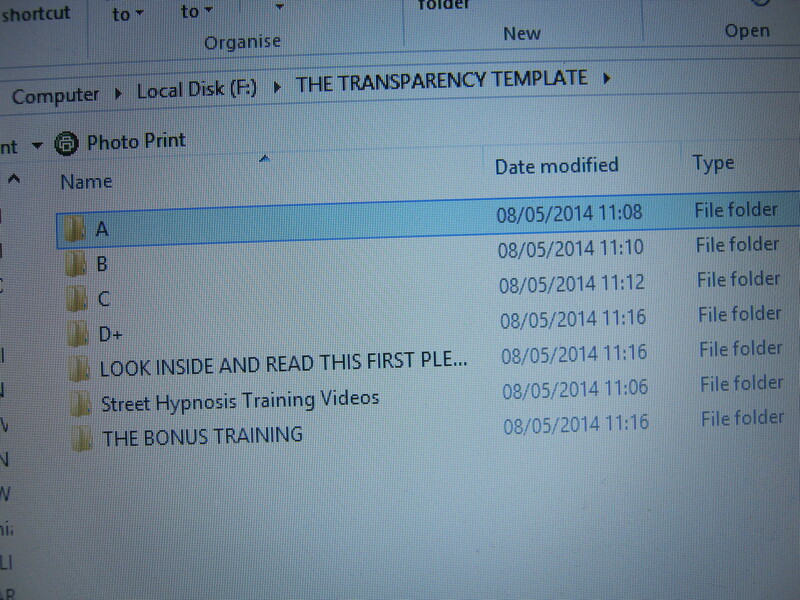 This unrivalled 5 Disc DVD package contains in its main section over 16 hours of Video and over 8 hours of intensive Audio Training, along with numerous books, manuals and courses to ensure that you need never spend another penny on Hypnosis Training Materials ever again! 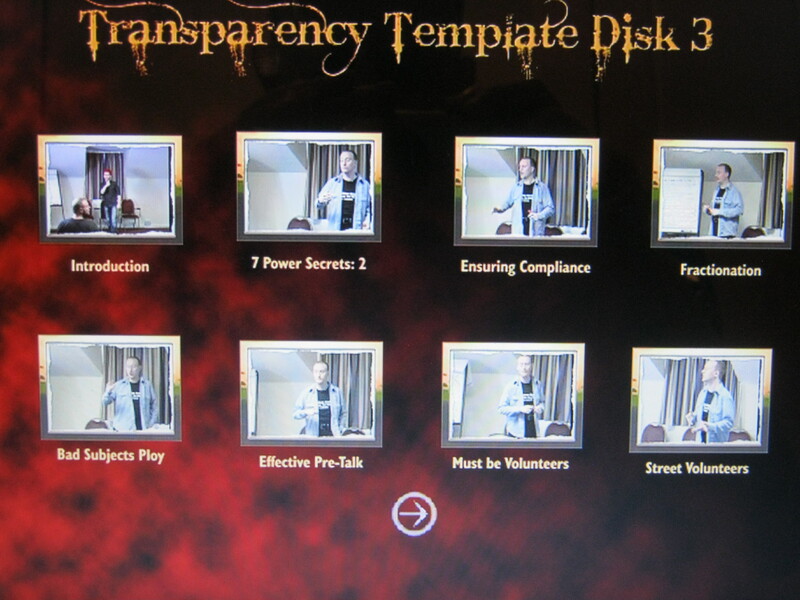 BONUS TRAINING: You will also find within the final disk, private online access to Almost 60 Hours of Additional Bonus Training videos which not only go into great depth about elements such as Advertising, Publicity, Marketing & Promotion of your Shows, but also teach numerous other, until now jealously guarded Secrets of the Stage & Street Hypnotists. 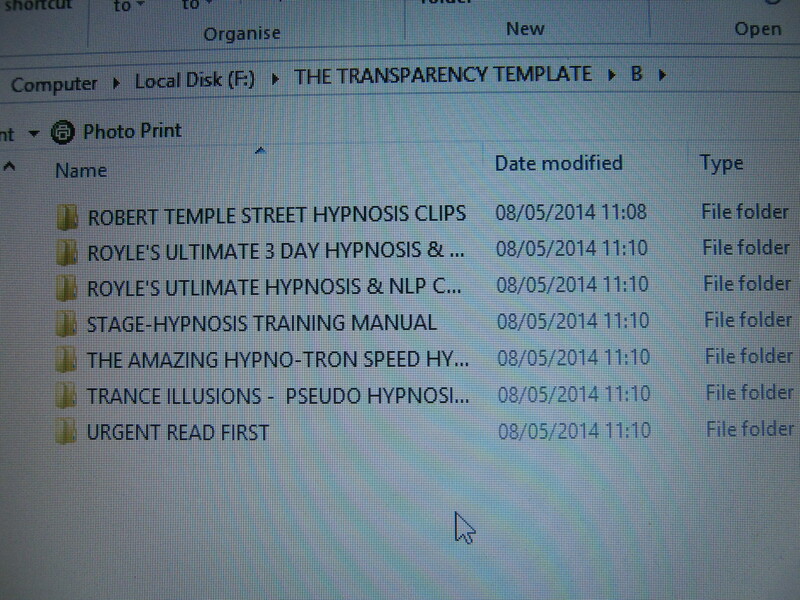 *33 Rapid & Instant Hypnotic Inductions. *The Correct Way to Awaken People From Trance. *The True Dangers of Stage & Street Hypnosis and How to Avoid Them. 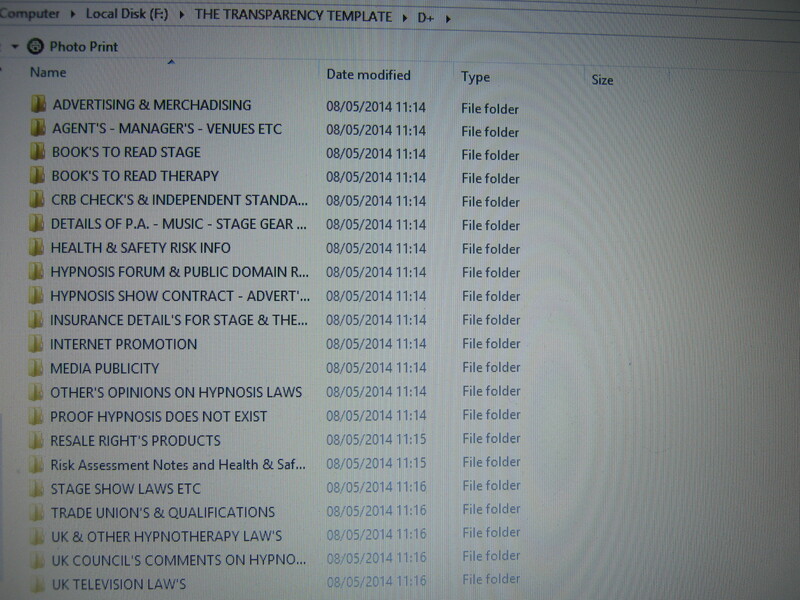 *Using Props and Music to Maximum Effect in Your Hypnosis Shows. *The Way Hypnotists Sometimes Use Dual Reality Principles. *How to Combine Hypnosis Skills with Your Magic & Mentalism. 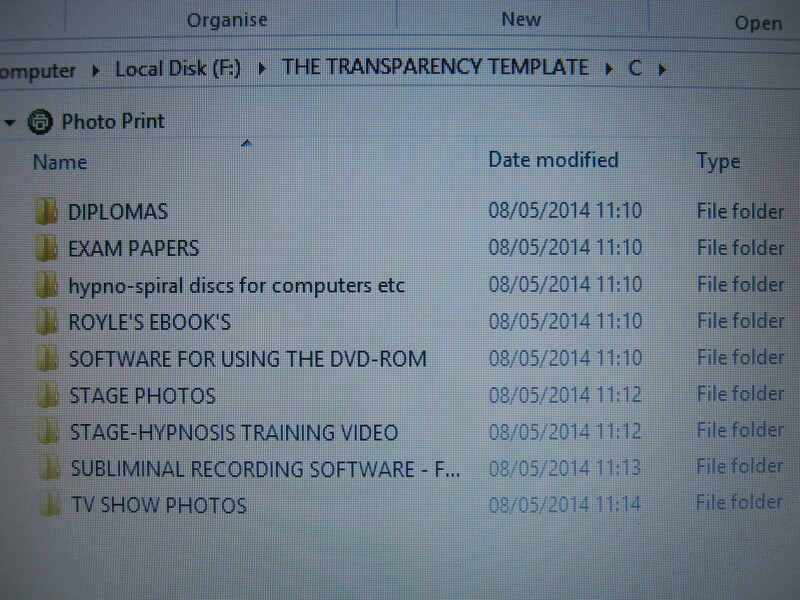 *How to perform a Complete 90 minute Show of apparent Hypnosis, using Hypno-Tricks, without ever needing to Hypnotise anybody – essential knowledge when nobody volunteers to be hypnotised. *Complete step by step Scripts and Routine Structures for both Family and Adult Style Performances to get you started immediately. *Witness Several Live Show Performances by both Jonathan Royle and Robert Temple and see everything that you have learnt in action and brought to life on real stages for real audiences. *Perhaps most importantly you’ll discover the dozens of things that can (and at some point will) go wrong during a Hypnosis Performance and then you are taught numerous ways to overcome and conquer these issues in the Safest and Most Entertaining manners possible. *Proven Ways to Earn Additional Income helping people to Stop Smoking, Lose Weight, Gain Confidence and Eliminate Phobias from their Life’s! 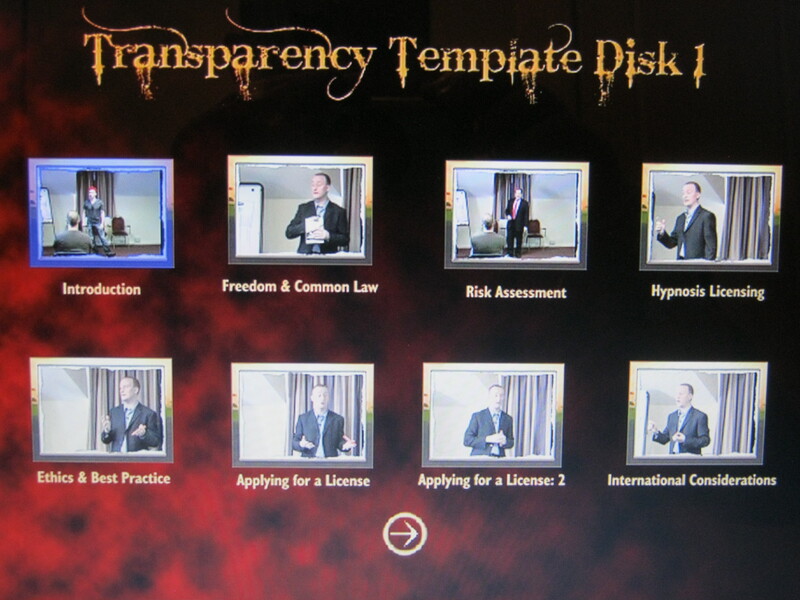 *Health & Safety, Risk Assessments, Hypnosis Licensing, Laws Around the World & Insurance all Explained Comprehensively. *The use of Professional Sound and Stage Lighting Strategies to maximise the response from your show and increase demand for it. *Professional Stage Craft Secrets worth their weight in Gold to any performer, revealing how to get greater audience reactions, more applause and regular standing ovations. *In Short you will be taught quite literally everything and we do mean everything that is needed to take even the complete Novice to Advanced Professional Standard with ease, and even the established Professional will learn many new Secrets, Ploys, Techniques and Strategies that will Massively increase their success as a Hypnotist. 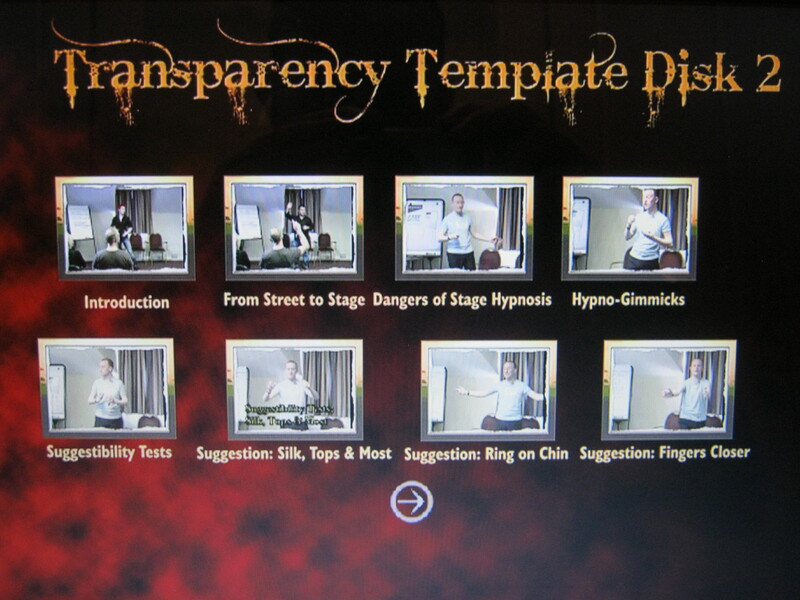 Well trained and skilled Stage Hypnotists are amongst the busiest and highest paid performers in the entertainment industry and when you have studied “The Transparency Template” you will have received, what many consider to be, the best training available (by far) from anyone in the world today. 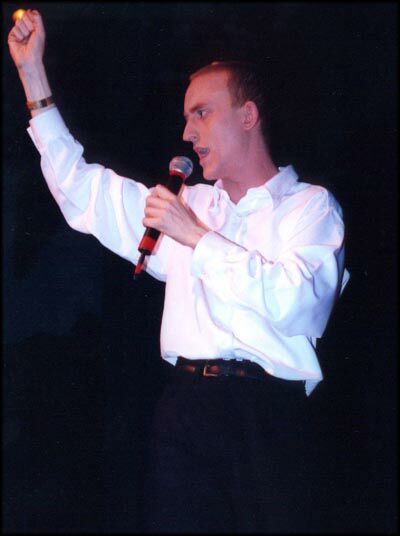 Indeed it is true to say that arguably to date, Jonathan Royle has been responsible for the training and guidance of more people around the World who are now successful Professional Stage Hypnotists (including those with regular TV Shows, Theatre Tours & Media Exposure) than any other Hypnosis Trainer on the Planet. 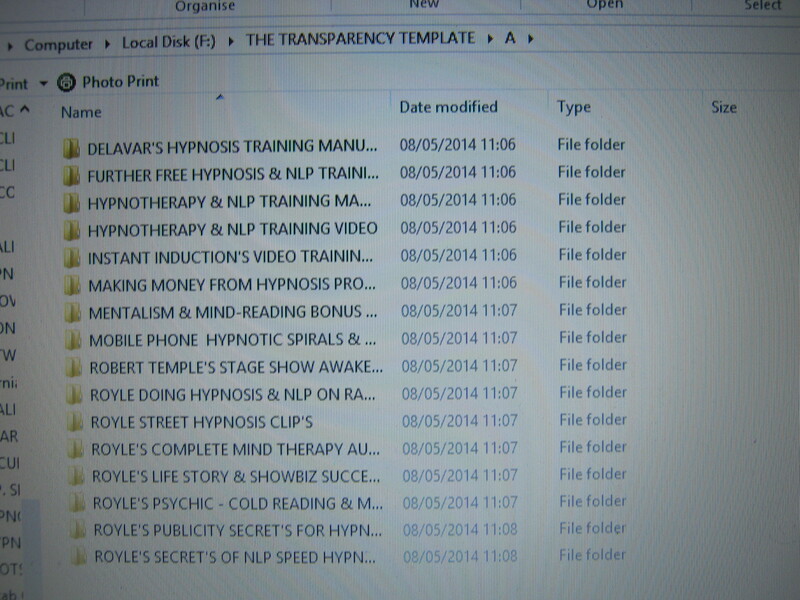 When you study this package, you’ll soon discover why Royle is also regularly consulted by many of the biggest names in the Hypnosis Industry for ongoing advice. Want to Perform Hypnosis on Television? Well, with literally 100’s & 100’s of International Television, Radio, Newspaper and Magazine Credits to his name, Royle has been there, done that and worn the T-Shirt out, so is able to teach you (and he does on this set) the exact proven keys to success. The truth is that over his 35 years in Show-Business (of which well over two decades has been performing as a Hypnotist) Royle has worked extensively in every manner and style of venue you can possibly imagine, for all types of clients and his shows have been witnessed in practically all four corners of the world. In other words, when you want to learn how to be a truly successful Hypnotist, don’t you owe it to yourself to learn from someone who actually speaks from real world experience? Jonathan Royle / Alex presents his material very candidly! I appreciate that! I have purchased a number of his training items (living in the States, live-training is a far-reach option for me) and I love each of them. Each item has over-delivered. Being a clinically certified hypnotherapist and a certified stage hypnotist for 6 years, in addition to my initial training, I have taken many additional training courses. Jonathan’s training materials have taught me many items, techniques, insights, perspectives that I never learned in my initial live training courses! 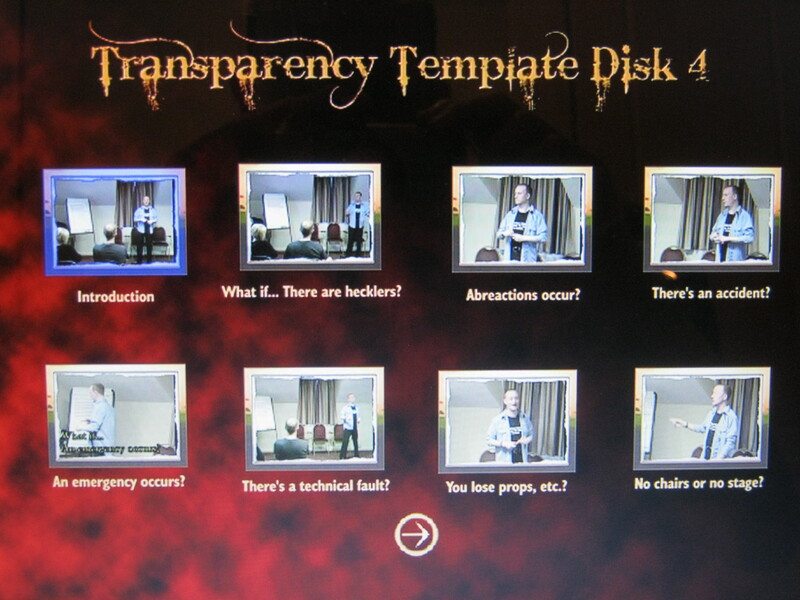 Most recently, I purchased the Transparency Template – LOVE IT. Great work, Jonathan, thank you. I’m constantly going back to it, it is beyond just training, it is a resource. The Health & Safety training it contains is worth many times the tiny investment alone! 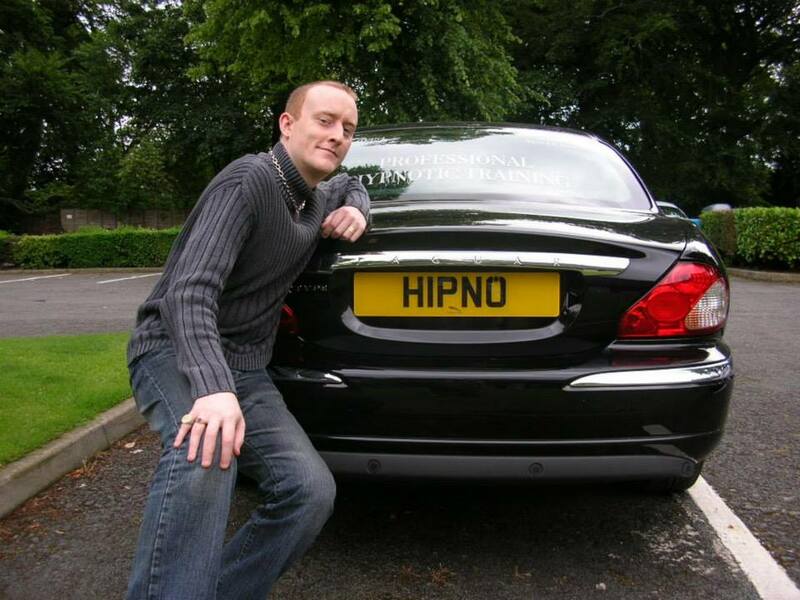 Additionally, Jonathan has extended himself for consult, even simple questions, regarding anything hypnosis, hypnotherapy, NLP, Complete Mind Therapy, stage hypnosis, etc. He’s a personal person – the hypnotist’s hypnotist. Thanks, very much, Jonathan! “This is very detailed and comprehensive home study course covering all of the important stuff you simply need to know if you’re even considering setting foot on stage, street or anywhere and calling yourself a hypnotist. One thing that really stands out is that he doesn’t ignore any of the problems and dangers a hypnotist is likely to face. He doesn’t even just give them an honorary mention. He faces them head on and discusses them in the manner of one who has been there, done that and worn the t-shirt and implores you to learn from his own stuff-ups. Rather than just act as superfluous credits on the cover, Rob and other guests are utilized perfectly throughout the course and each is a great presenter and speaker in his own right, demonstrating the same enthusiasm for their chosen art form as the man himself Royle. To say much more would probably be classed as a spoiler, but I have to just add that the bonus DVD (regularly referred to during the main presentation) in my opinion is worth the price of this set all on its own. if this is your first purchase in this field, you’ll probably have little need for very much else. What If…. There Are Hecklers? There is a Technical Fault? You Lose Your Props, Etc On A Flight? No Chairs or No Stage? You Forget What To Do? You Know They Are Faking It? Licensing or Legal Person is There? 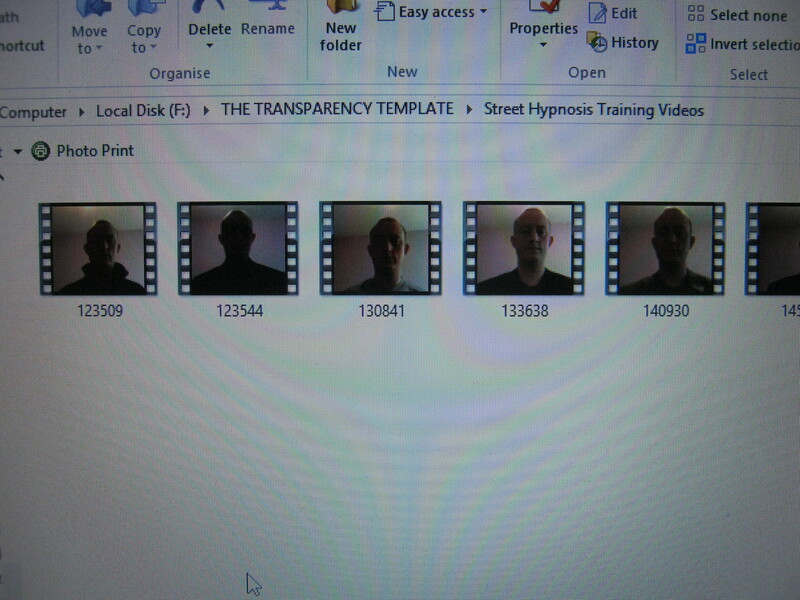 Included are Private Online Viewing Links to a grand total of Sixty Six (66) information packed training videos which have a combined total of Sixty (60) Hours of video training that further expands on the 16 hours of main training contained in this truly unrivaled and arguably most comprehensive training set for Stage & Street Hypnosis (and how to combine with Magic & Mentalism) that is available anywhere in the world today. Still Not Sure if this is the right choice for you? Dealers and Wholesale Orders contact Murphys Magic Supplies.